This is the same general situation I was in at the Eiffel Tower – how to get a fresh image of an iconic building. So, anyway, here the Arc de Triomphe, in a view you’ve no doubt seen before. 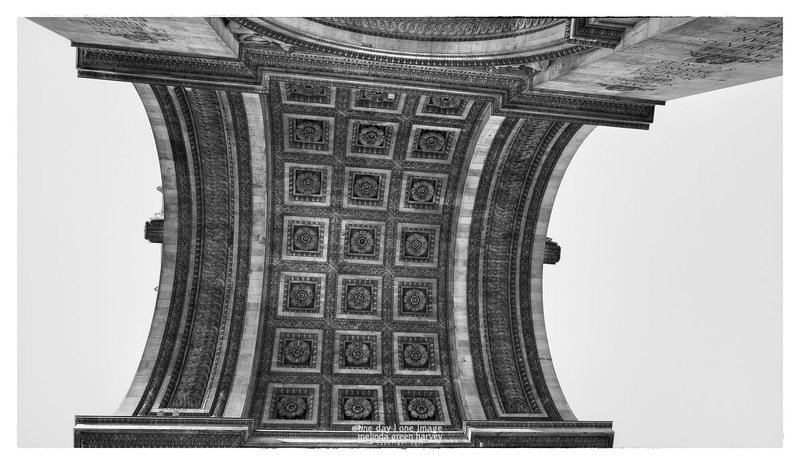 Posted on August 7, 2017, in Photography and tagged 365 photo project, Arc de Triomphe, architecture, black and white photography, France, learning to see, Leica, melinda green harvey, monochrome, one day one image, Paris, photo a day, photography, postaday, thoughtful seeing, travel, travel photography. Bookmark the permalink. Leave a comment.